Also called Saint Peter the Apostle Parish Church is the second oldest Christian settlement in Bohol next to Baclayon church. Same as the Baclayon church, this church is also declared a National Historical Landmark and a National Cultural Treasure. It's also considered in the tentative list of UNESCO World Heritage in the Philippines under two collective groups, the Baroque Churches of the Philippines and the Jesuit Churches of the Philippines. The original church was destroyed in 1638. A larger church was built in 1670. The present coral-stone church was completed in 1734. The Loboc church is located near the river and survived a lot of floods, though it didn't survive the 2013 earthquake. 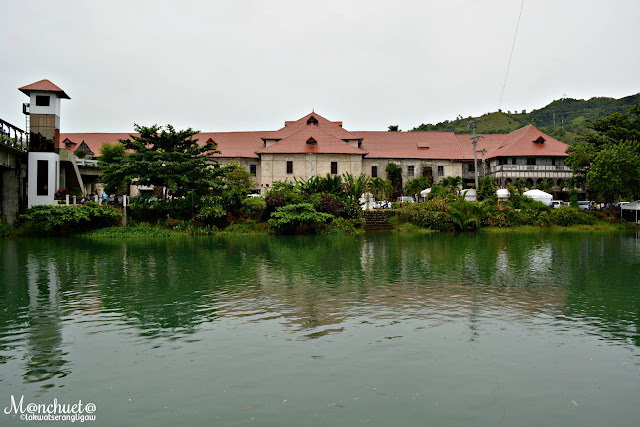 I was not able to visit the church and only see it from afar, on our way to Loboc river. Thankful that I was able to take few pictures of the church, its museo and the bell tower. Its bell tower is located few meter away. It's sad that I might not be able to see it standing proudly along the riverbank after the earthquake. It might just be left as ruins and never be restored. When I visited Bohol in July 2017, the bell tower is no longer standing. Only a small portion was seen as the remnants of the old bell tower because of the earthquake. The church is still not repaired, and it might take long for it to be useful again, if they are planning on restoring it. It's really sad to see old buildings become a ruins. I just hope they restore it, if not like how it used to be, but close. How to Get to Bohol from Cebu?